There are 16 posts in this thread, and it has been viewed 6665 times. 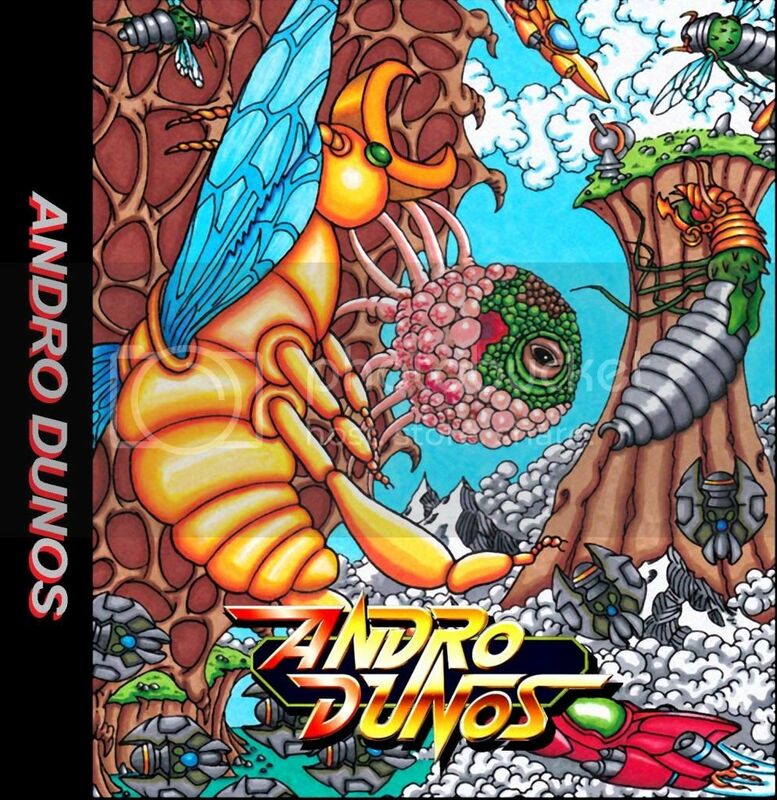 NCI are planning to release Andro Dunos on CD format. No further information at the moment. Really! What brought this on? I know before I move away from Atlanta that I'm going to have to get my hands on a NeoCD system. Captain Tomaday, Neo Mr. Do, Puzzle De Pon and especially Ganryu. That would definitely be a good move getting an NGCD system Daraku. It's nice to be able to get games like Metal Slug, Neo Turf Masters, Pulstar, Twinkle Star Sprites, Viewpoint etc. (which have very short loading times) for a fraction of the price they cost for AES. and spine card in your collection rather than a burned copy of the game? Visco confirmed that B2B was released with their consent so I'm inclined to believe the same is true with all other Visco games NCI release. By buying these releases we are also in a small way supporting Visco Corporation which is surely a good thing. Andro Dunos is only the tip of the iceberg though if they're going to start porting former AES cart only games /MVS cart only games (ie. AES and MVS games that were NOT originally officially released on Neo CD) AND unreleased Neo Geo prototypes to the Neo Geo CD! And yeah, it would be nice to just buy normal (disc, manual, case) versions of these games rather than dling and burning an ISO file. Yeah, I hope you're right. There's a large number of smaller MEG games that can be converted. I hope NCI can get their hands on some other games besides Visco. In the meantime, I hope they can get Flip Shot released on CD. Does anyone have a guess as to whether or not NCI still plans to release this on the CD system? I checked the NCI Facebook page and noticed someone posted that Andro Dunos is now available to pre-order at NeoAyato for a price of $51.99. NeoAyato state that the game will be in stock on 29th March. What in all hell is THIS? it may well be by the same artist who did the art for B2B. I don't think it looks terrible but would have much preferred the original art. Perhaps they can't use that due to copyright. Thanks for the update. I will give this purchase some thought, though I still never even picked up Bang Bang Busters. You are right it's not horrid... but, it does look very high school final projectish. I think a simple plain white or black cover with just the Andro Dunos logo on it would be better than that atrocity.